Introducing the belt that will always fit! We invented this design after encountering several woman that had trouble finding a belt that could adjust not only with different styles of clothing, but also with their changing bodies. Whether you have lost weight or gained, have a baby on the way, or want to share this belt with a friend or family member- it will always fit! This design comes with an assortment of several leather pieces that all snap together. 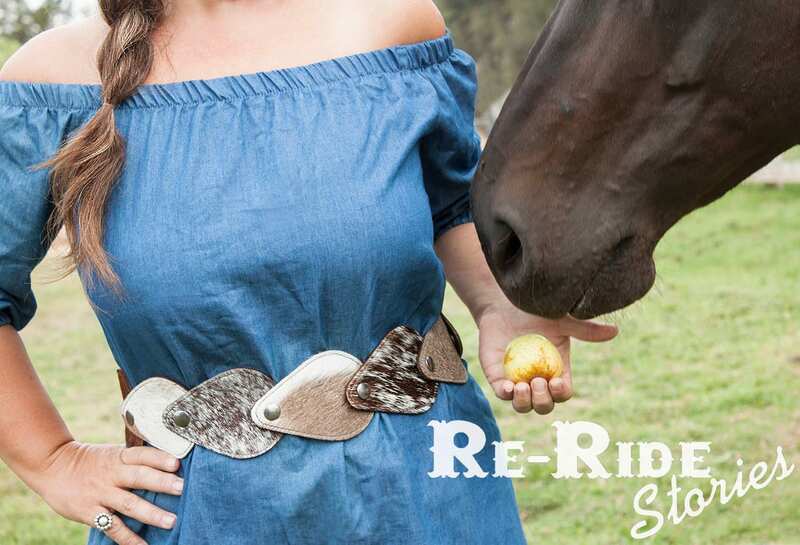 Add pieces to your belt to wear lower on your hips, or remove pieces to wear up higher on your waist. 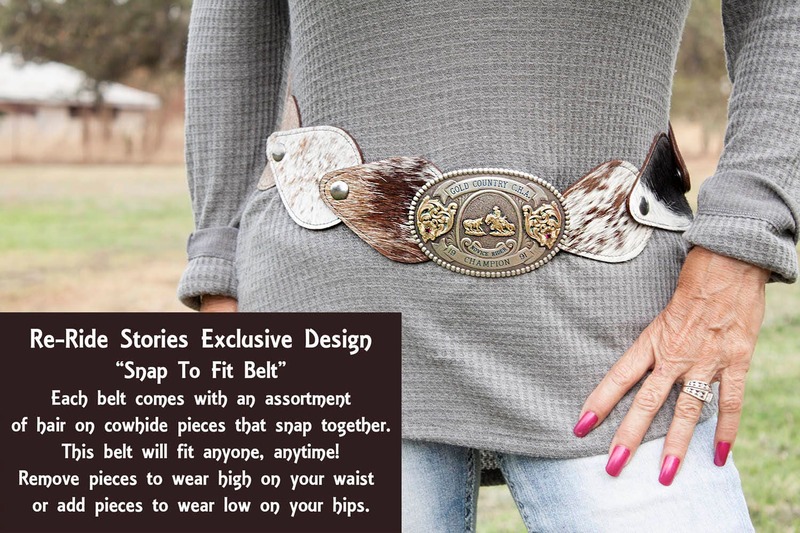 This belt can be worn with our unique horseshoe belt buckles (sold separately) or any trophy belt buckle. It comes with two different "tail ends". 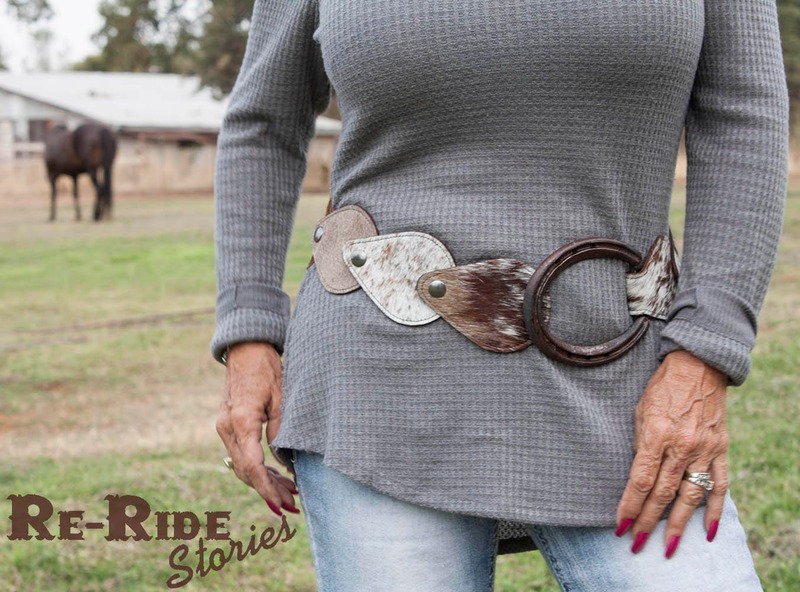 The "tear drop" tail with one hole, will work with a buckle that has a single prong hook. The "long traditional" tail with four holes, will work with a double bar buckle and offers even more size adjustment. All pieces are lined on the back with leather of assorted neutral colors. 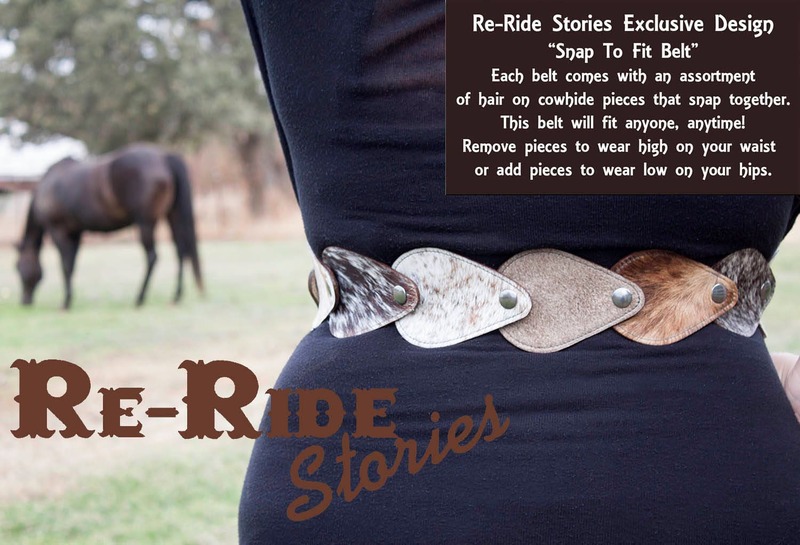 * Each belt comes standard with a buckle attachment piece, two tail pieces and 11 tear drop pieces. The length of those combined is roughly 41 1/2" long. If you require more pieces, just send us your measurements at check out and we will add the neccassary pieces to fit your needs. 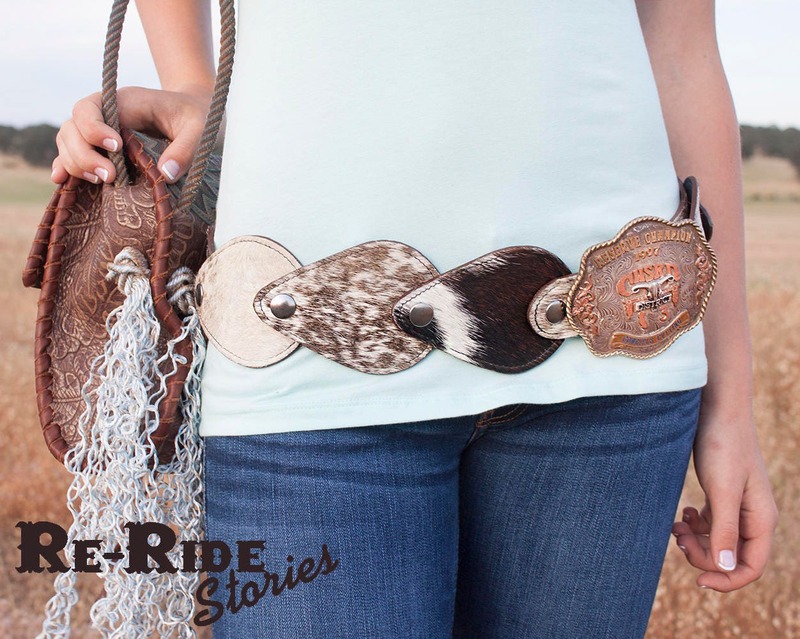 *Hair on cowhide belts are assembled with a random assortment of colored cowhides. The belts in the photos are just examples of belt variations.